Siam, 1874. Siam, 1874. The King of Siam, Rama V. Phra Maha Chulalongkorn, is very open minded for European thoughts, and wants to modernize the country. His initiated reforms, however, find an open resistance of the high nobility. 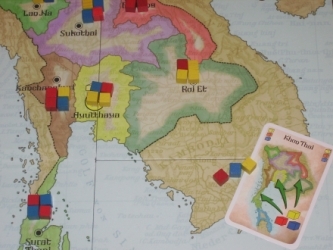 It does not take long, and a severe power-struggle is breaking out between the Lao from Siam's North, the Malays from the South and the Roaylists. At the same time, Siam is targeted by the European powers Great Britain and France which have great desire to incorporate Siam as another colony into their own empire. All struggling factions understand that maintaing the country's freedom and their open dissense is a tightrope walk. 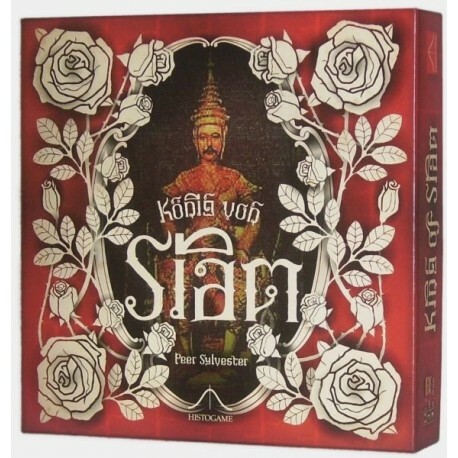 Siam must preserve the appearance of unity, despite all the fights which are conducted behind the surface. Even Siam's motto, Unity brings Happiness is close to be degraded to an empty saying . . . 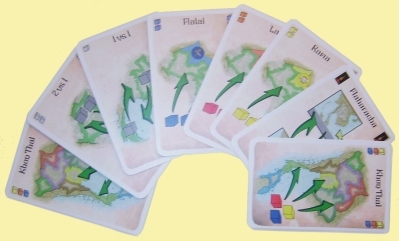 In the game, the players use action cards both to compete for influence on the contending factions and to tip the power struggle to the advantage of the faction where their influence is greatest. But the players must be careful: too overt a conflict will result in a British intervention, and victory conditions are immediately changed. 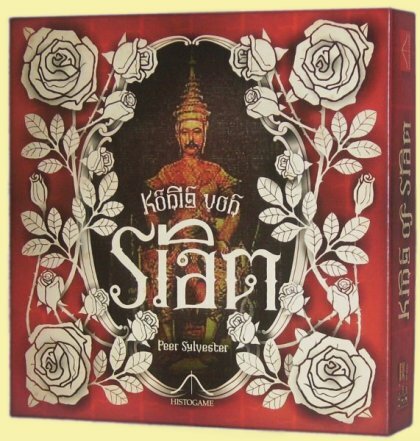 Histogame is proud to present King of Siam, a Peer Sylvester design. 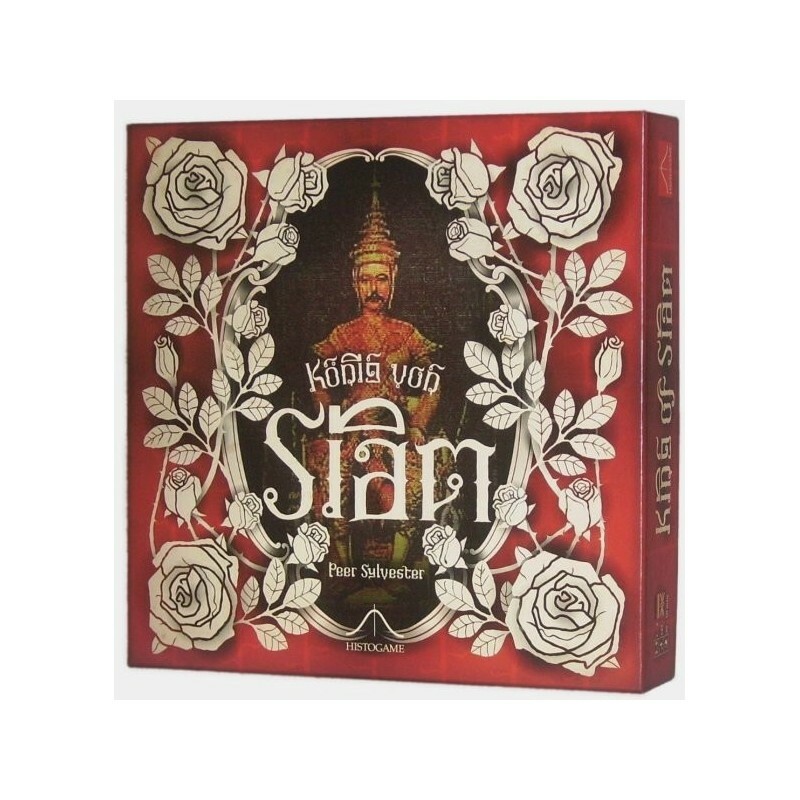 After the initial set-up, King of Siam has no luck. Players must use their scarce resources with discernment. Steady nerves are critical: the player who wins in the end will generally be the player who knew when to lose earlier on.